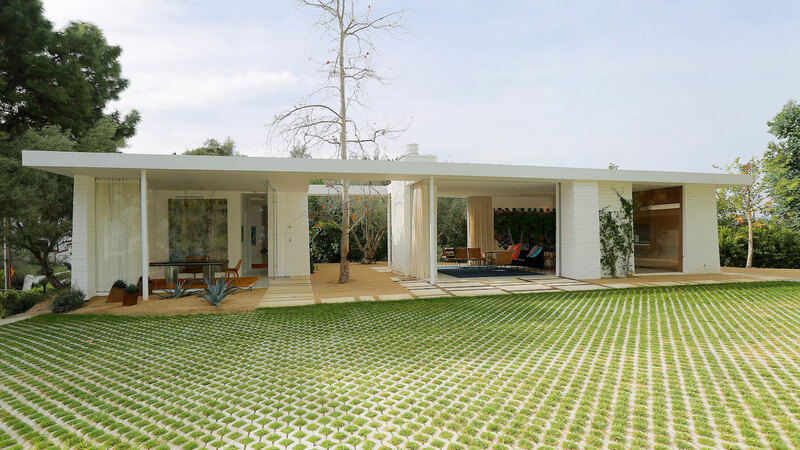 Designed by Los Angeles based firm Struere, the unique house promises to renew the modern living by extending the indoor spaces to the exterior. 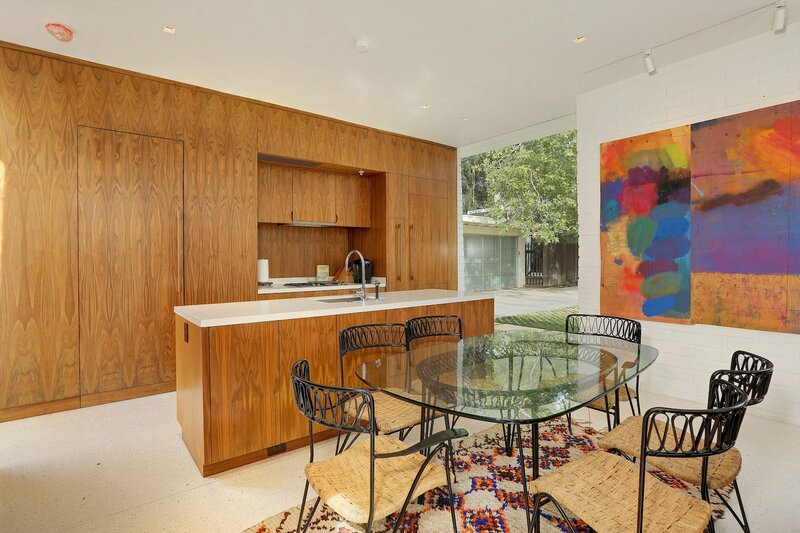 The single-bedroom residence is located in the Hollywood Hills and was built on the same site as an existing house by architect Milton Caughey. 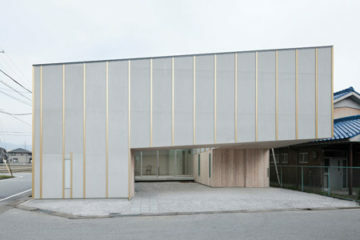 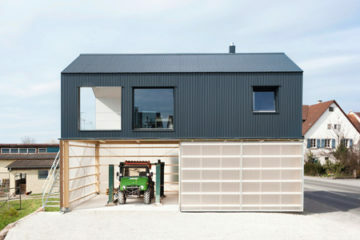 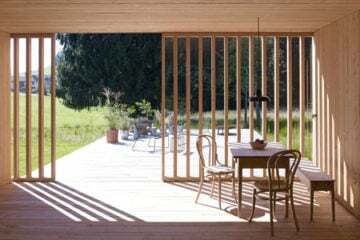 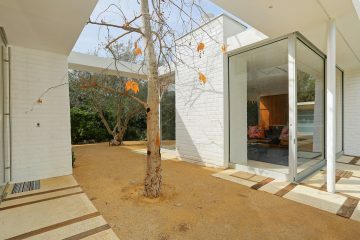 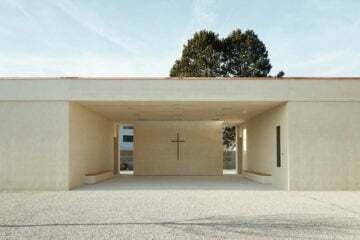 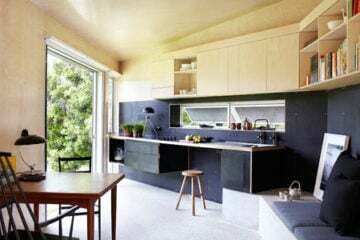 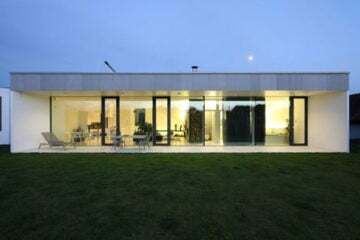 The house owns two volumes, connected by a central void in which a tree grows through a rectangular opening in the roof. Floor-to-ceiling windows open the house to a grassy courtyard, which separate the new construction from the old house, connecting nature and architecture all at once. 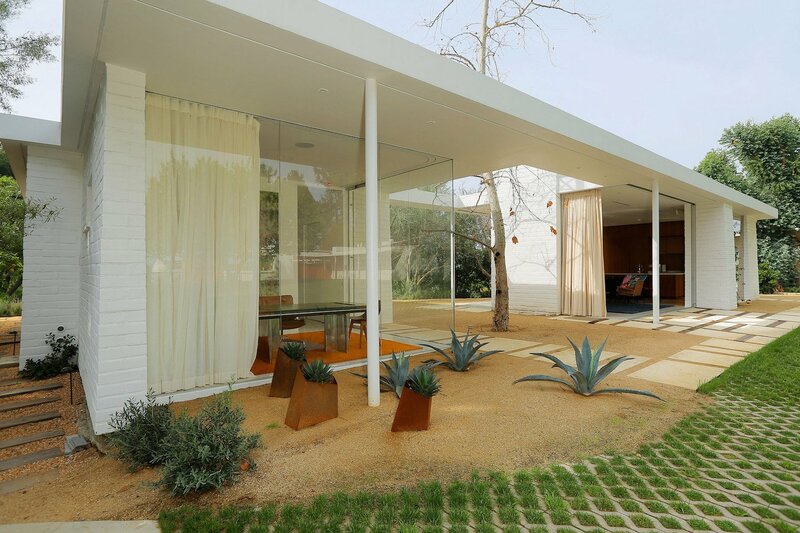 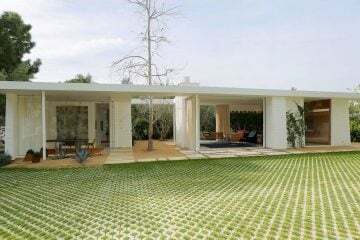 The architect refers to Los Angeles’ strong modernist tradition by designing a home that merges interior and exterior spaces. 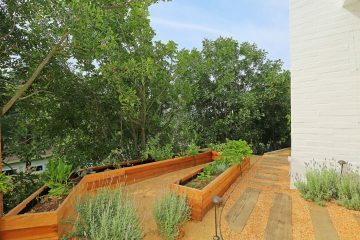 With its garden and exterior spaces, the Hollywood home brings the residents together with the natural surroundings.